Just because something is natural doesn't mean it's good for your skin. Natural ingredients are often healthier for your skin than synthetic, but not all natural ingredients work for all skin types. Those with sensitive skin still need to be selective about the products they use. If your skin is prone to excess oil resulting in an oily face, you want to stay away from things that are likely to clog your pores, and that includes some natural ingredients. The thing is that some oils are great for oily skin, because of their unique ratio of essential fatty acids, while others, for the same reason, are occlusive and can block pores. This is why grapeseed oil, which is naturally high in linoleic acid, is helpful for those with clogged pores and oily skin. 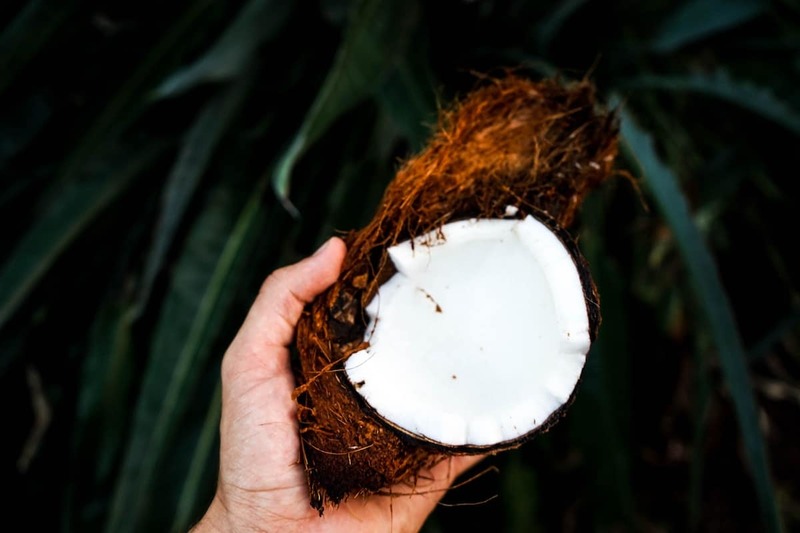 We talked about the difference between fractionated and unfractionated coconut oil in this post. Briefly, fractionated coconut oil is a form of the oil that has had the long-chain fatty acids removed via hydrolysis and steam distillation. Just this one change makes the oil liquid at room temperature and extends the product’s shelf life. It also makes it a lighter oil that is less likely to clog pores. Heavier oils rich in fatty acids are wonderful moisturizers, but they can be irritating for sensitive skin, which is why some people wonder if coconut oil causes acne. 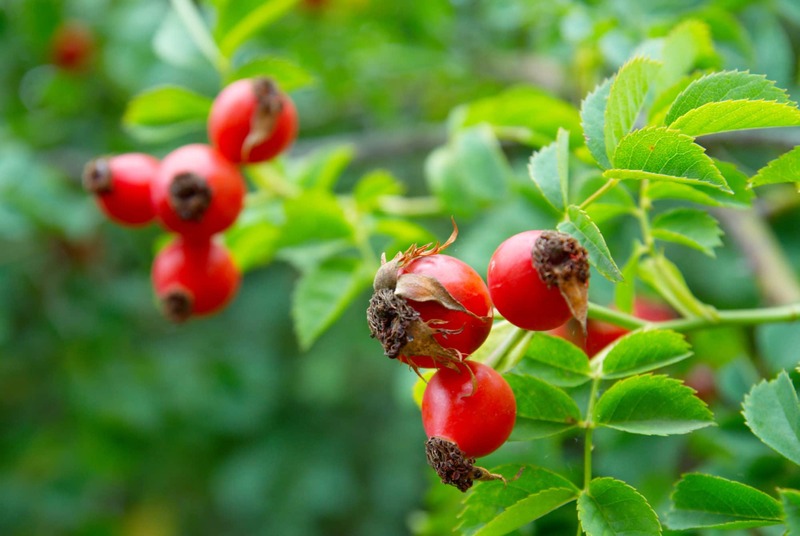 This is another very moisturizing ingredient that has skin-protecting antioxidants as well as plumping fatty acids, but it can be too occlusive for oily skin, especially on the face. This one is more balanced then some, with only slightly more oleic than linoleic, but it’s one to watch out for. If you want to use it, try on a small area first, to see how it affects you. Even if you can’t use it on your face, you may be fine enjoying it on the rest of the body. On the natural ingredient list, wheat germ oil is often listed as one of the most comedogenic. If you have clogged pores, it’s probably best to avoid this oil and restrict its use for hair care. This butter, though super beneficial for dry skin, may be too much for oily prone skin because of its high level of oleic fatty acids. There are varying levels of shea butter in different products, and the formula matters too—what the shea butter is mixed in with. You don’t necessarily need to stay away from this one, but just be cautious when you see it, and watch your skin carefully for any reactions. 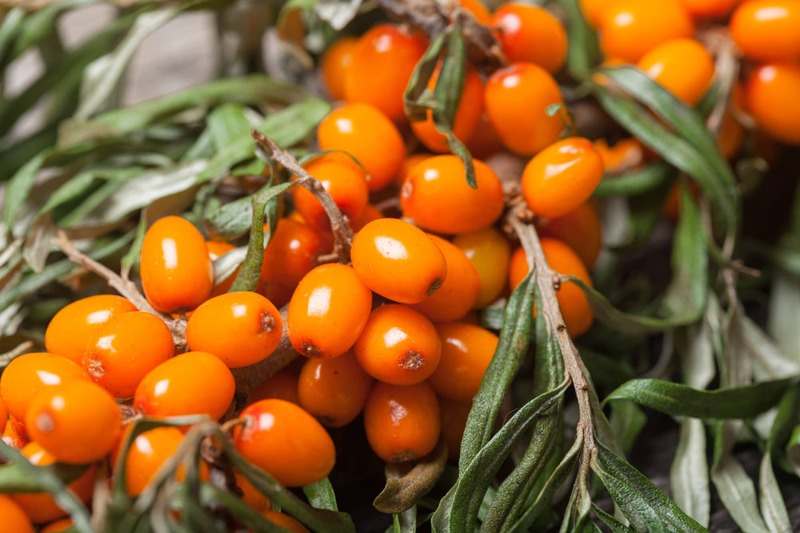 This oils is full of protective antioxidants, but it’s low in linoleic acid, too. It’s not particularly high in oleic, so if you combine it with some other oils that are higher in linoleic acid, it’s likely you could still enjoy the anti-aging benefits without having to worry about clogged pores. Several oils are high in “oleic” fatty acids, which are believed to cause more clogged pores than those high in “linoleic” fatty acids. Since oily skin is believed to be low in linoleic fatty acids, oils with more of these typically work well, while those with more “oleic” acid may cause more issues. Based on this theory, some to avoid include olive, avocado, apricot kernel, and sweet almond oil. Meanwhile, some oils that are great for oily skin include grapeseed, rosehip, evening primrose, hemp, and pumpkin seed oil. If you struggle with oily skin, our Purify Collection is here to help. Our products geared towards oily skin and gentle yet effective and entirely natural, so you don't have to worry about the irritation that comes along with added synthetics or chemicals. Shop here! Which oils do you find work for your skin type? Let us know in the comments below! I just recently started using oils for my skin (im a male) because a few months ago I broke out with a huge body rash (scabies) but since been cured. Ever since then I’ve been trying to take the best care of my skin, I’ve bought alot of different oils (coconut, tea tree, sweet almond, vitamin e, jojoba, olive, eucalyptus, rose hip, cocoa butter) I’ve been testing them out to see which ones I like best. I’ve been using coconut, sweet almond, vitamin e, and cocoa butter (I stopped using tree tea) as body oil to rid my skin of the dark spots I got from the rash, not all at once I alter between days. I use them just on the basis I think they smell the best but if anybody could recommend which oil would be best to remove dark spots I’d appreciate it. I also been using vitamin e, rose hip, jojoba, eucalyptus, and tea tree on my face for acne and to remove blackheads (again not all once). I use vitamin e or rose hip after I shower in the morning and tea tree or eucalyptus before I go to sleep. I just bought jojoba and I’m going to begin to start using that but I would like to know which oils you would recommend for oily, acne prone skin. I also been using tree tea and eucalyptus on my hands (eczema and herpetic whitlow) and im being to begin to start using olive oil as well. I apply them 3-4 times a day and have seen significant results but again I would like to know what you would recommend to use to help me with this problem. Currently I am trying to just moisturize with honey each evening. Is that a good idea? i LOVE grapeseed oil!! It is one of the only things that has been able to calm my sensitive, dry, and acne-prone skin. It has been a lifesaver!! What would be the best oil for combination skin: skin that is both oil and dry. My daughter is having such a hard time lately. she is 14 and was having some issues with clogged pores and acne. We’ve tried fighting it with different natural masks, essential oils, and carrier oils. We discovered coconut oil didn’t work for her. Recently, in desperation we tried castor oil and jojoba oil mixed but heavier on the castor oil and it dried her skin making it red, itchy, dry, and painful and flaky, but she still has the acne. Ugh. Purchased grapeseed oil and rosehip oil, using those now with a drop of lavendar and frankincense and no tea tree oil for now (she thinks it’s drying, but i’m not sure). It’s also bitter cold right now so I think the cold air (and heat) is also contributing to the problem. I feel so bad for her! Hey Claudia! Acne can definitely be a hard beast to tame, especially when you’re a teenager. We’ve all been there before & can totally sympathize! Please check out the following article to learn what our recommendations would be for a blemish-prone skin type w/ combination skin. Hope it helps! Its weird to sesame oil on this list. 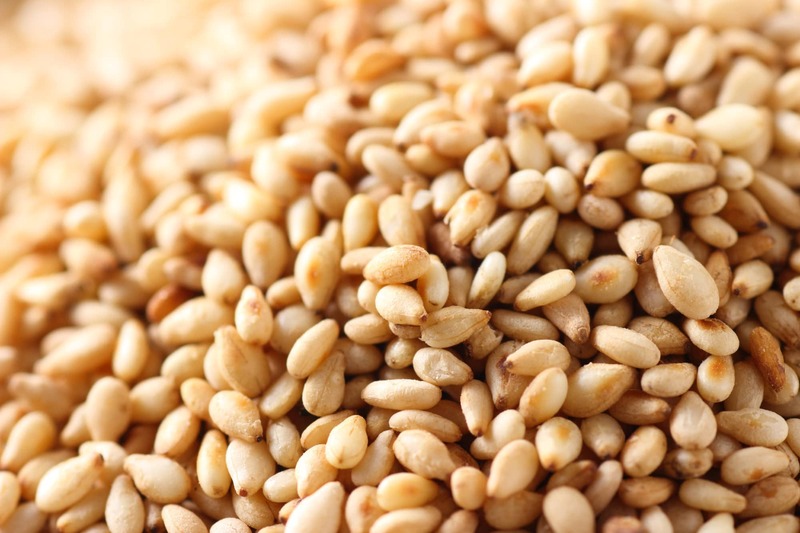 Sesame seed oil is mixed but higher in linoleic acid. I use it for myself on my face and I have very oily skin. It shrinks my pores, improves my complexion, really helps with oil control throughout the day, and i feel like my breakouts (and scarring) go away quicker vs when I wasn’t using it. That’s awesome that sesame oil works for you! Thanks for sharing 🙂 We put it on the list because it can be troublesome for certain people, and super beneficial for others (like yourself!). I have skin that is prone to clogged pores, but Coconut oil seems to work great for me. I only use as a makeup remover. Although, I don’t use it everyday. My other 2 favorites are Hempseed and Pumpkinseed Oil. They are non-comedogenic. I use them as a moisturizer and I don’t have a problem with clogged pores. One of the best, non-comedogenic oils is Black Cumin Oil. Look it up. You will love it! How about soybean oil? Is that a good oil to use on the face? Totally up to you, Sasha! We do not have it in any of our products because we believe there are other, more beneficial oils out there that can be used in skin care products. There is also the risk of the soybeans coming from a GMO source. Does Annmarie skin care make a body wash for easily clogged pores? My body wash has shea butter in it and now im worried since I get KP on my arms easily! Hi…I’m trying to make a daily moisturizing cream that is not heavy nor oily. Anddd…. that is no easy feat! I tried a recipe with jojoba oil and Shea butter (along with other things) but it’s a tad shiny. Too much so for a daily moisturizer. What can I use instead?? ???? Yes Shea Butter has a 0 rating. Quite confusing as many people say it helps acne and oily or combo skin,yet alot of skin experts say those with acne or sensitive skin should not use Shea Butter..
I’m confused she’s butter has a 0 comedogenic rating? I’m 49. I’ve had clogged pores all my life. My skin used to be oily but has dried out as I’ve gotten older and I still have problem skin. When I cut way back on dairy and carbs, added more water, and got more sleep, I saw some improvement but I’ve never been totally blemish free. In the past I’ve tried several (organic and/or virgin) oils on my face: coconut, sesame, rice bran, and hemp. They were all good moisturizers but ultimately didn’t do what I wanted and needed. The rice bran oil felt really really good and made my skin super soft. The coconut oil mostly sat on my skin and looked super oily even though I used it on damp skin. The hemp oil felt good but seemed too heavy even when I only used a small amount. None of them helped with my clogged pores or blemishes left behind. I bought grape seed oil for my daughter’s new tattoo after researching it. What I read convinced me to also try it for my face. I’ve been using it for about a week. Seriously, I can already see improvement in this short period. My skin is super soft, my pores are less noticeable, and no oil slick on my face. Amazingly the dark spots seem to be shrinking inward from the outer edges. I had a few dark spots on my cheek that were raised and hard. I knew the spots wouldn’t heal because whatever is hiding under the skin needs to heal first. Well I’m happy to say that in the week I’ve been using the grape seed oil, those spots have softened and flattened out a bit. Also, I usually wake up to several pimples every day. In the past week, I’ve woken to a total of two. Definitely an improvement. Such great information. The reply with trying all the oils with results is also very very very helpful. My 12 year old granddaughter is having such a difficult time with acne. I am working with essential oils and making my own moisturizer, etc but still having some difficulty however she does not face her face as often as she should. So I am also fighting her routine. Just another teenager lol. Anyway thank you so much for your experience and expertise results! I use jojoba oil! Was a staple for American Indians. Great for hair, skin, and nails. Very light, mixes well with other oils for homemade recipes. I put it on my face and neck after a shower then wipe my hands off on my fresh shampooed hair. Tames knots making for an easy comb out being that I don’t use conditioner. Used lightly excess tends to just disappear. I have acne prone skin and I use avocado oil, but I mix it with lavender oil and it’s working great on my skin. I’ve had acne scars for years and I noticed that they are fading. Plus my face has gotten smoother . I’ve actually been using a mixture of Pumpkin seeds oil, tamanu oil, with a couple drops of frankincense and lavender. I’ll put it on my face after I wash it, just a few drops onto my hands that I’ll pat on my face. I’ve only been doing this for the past week now, and I’m surprised at how well my skin has been behaving. I’m still working out the other kinks in my routine, but so far it looks like the oil is doing it’s job. Tea tree oil is pretty amazing for a spot treatment as well. I’ll pair that up under a charcoal mask to zap troublesome spots. And I just ordered a full bottle of the citrus cleanser, I’ve been trying a sample up until now, so we’ll see if that helps out even more. I’m excited to see the long term results. Speaking of oils that are great vs. not good for acne prone skin, do you know which category black cumin oil would fall under? The two oils have slightly different Oleic and Linoleic Acid composition. Perhaps you could try the Black Cumin Seed oil and see how your skin likes it. I recently discovered watermelon seed oil and find it really helpful as a topical treatment to help combat the build up of sebum in the pores on my nose. Evening Primrose Oil is high in linoleic acid. However, I find when I take too much, I actually get acne. But not the usual acne. This acne sits underneath my skin on my cheeks, and I can tell the bumps are full of oil. It’s like oil deposits sitting under my skin. This happens when I take more than 500mg of Evening Primrose Oil at a time, or more than 2 doses a day. I absolutely love Evening Primrose Oil because it completely takes away my cramps during my menstrual cycle. It also makes my skin feel buttery smooth. But, I still get acne, so I’m pretty sure my acne is not caused from a linoleic acid deficiency.